If you are planning to launch a Career Builder job search, there are a few things you need to know. The first is that there are over 1.6 million jobs posted on CareerBuilder.com. That's a tremendous resource for job-seekers. However, you have to know how to trim that down to the jobs you want in the location you desire. That's pretty easy, right? You should end up with a great return of available jobs in your local area. But, maybe you want to narrow it down even more, say, to businesses in a 15 mile radius of your home or jobs posted within the last 7 days. You can do this through an Advanced Search. Using the Advanced Search feature, you have the ability to restrict your searches by degree requirements, zip codes, salary ranges (for those that are posted), and even by excluding specific terms, such as "relocation". Back to general search options... When you search by categories, such as Accounting Jobs, you will have at your fingertips a ton of information about these kinds of jobs - as well as current job openings. Information about salaries, skills required, and so on are there to assist you in your online job search. If you want to do a search by Industry, you can select a field and then explore what it has to offer - a myriad of potential job opportunities. You can even search for International Jobs. One of the aspects I think is most helpful in using Career Builder for a job search is that it allows you to set up alerts for jobs you want to watch. Let's say you want to set up a CareerBuilder job alert for a Project Manager position. Click at the top of the navigation on "Find Jobs" and the pull-down menu will show "Set up Job Alert". This is a terrific way to keep track of new job openings as they occur, so you can be one of the first to get your application or resume in (if not THE first) and beat out the competition. There are a lot of other things that this website has to offer. One of the final ones I want to discuss is the Job Search History section. If you have searched for a number of jobs and you want to go back to one you saw a day or so ago, click on "My Career Builder" and "Job Search History" and you'll find everything you need right there. Now, unrelated to the job search function is another area within the site where you can upload your resume. Feel free to take advantage of this opportunity, but know that in doing so, you are one of a zillion others who have uploaded resumes to a huge database. This makes it difficult for you to be found. If you use the right keywords on your resume, you'll improve your chances, but just keep in mind, you have a LOT of competition here. I did want to mention this, though, as it is available and it might help. I don't think you should ever pass up an opportunity to get your name in front of a prospective employer. Using Career Builder in your job search is a great idea. 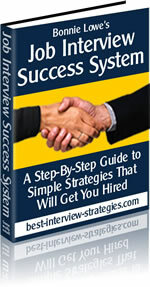 It will save time and allow you to organize a good portion of your job search efforts. That's always a good thing.